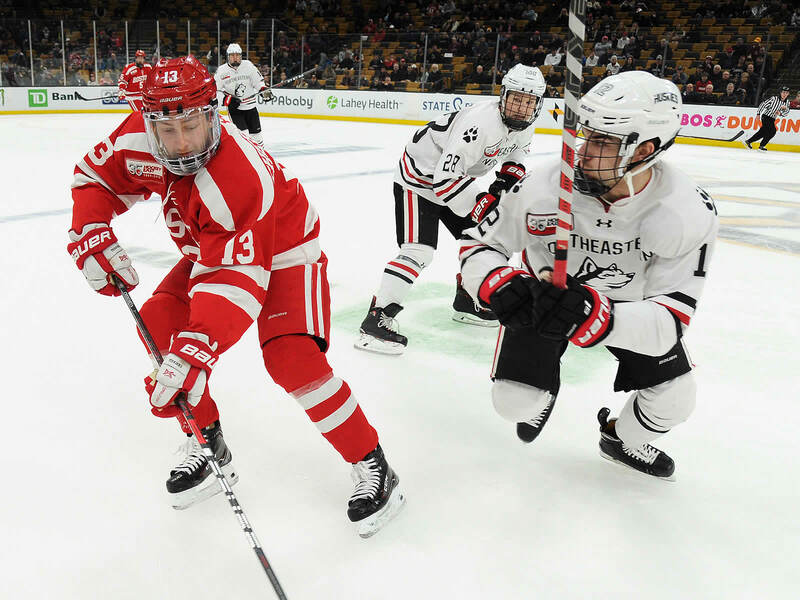 BOSTON, Mass.- Zach Solow scored at 15:44 of overtime to lift third-seeded Northeastern to a 2-1 victory third-seeded Boston University in the semifinal lid-lifter of the 35th annual Hockey East Championship Friday at TD Garden. 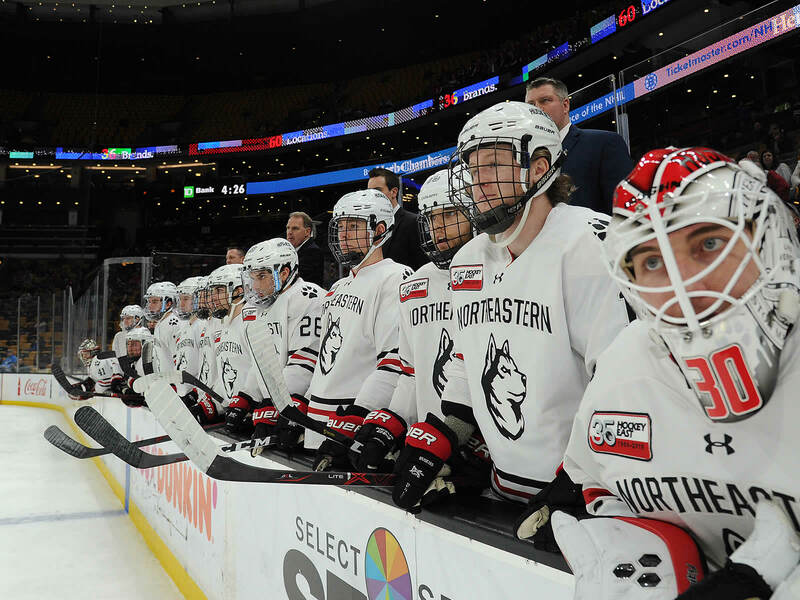 The Huskies (26-10-1) advance to their third title game appearance will play the winner of Friday's second semifinal between top-seeded Massachusetts and fifth-seeded Boston College Saturday at 7 p.m. (TV-NESN Plus, Web-FloHockey). 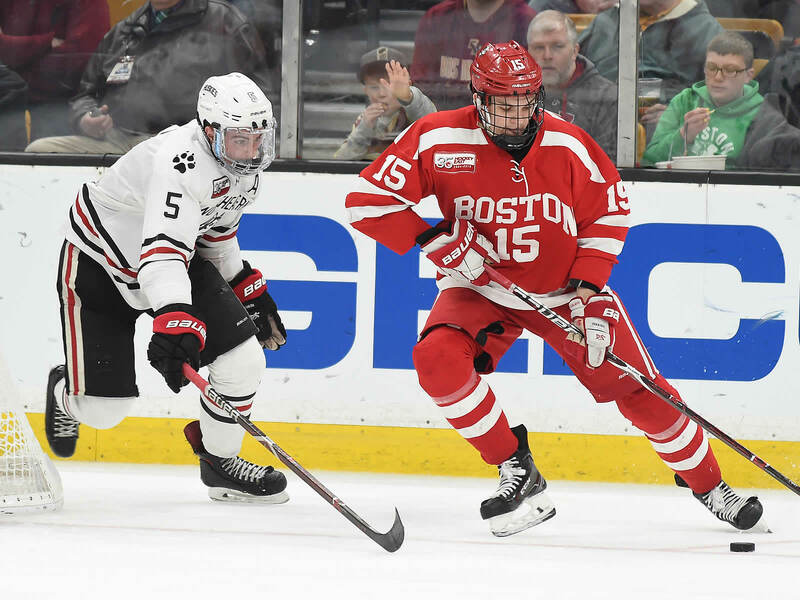 Solow's 15th goal and his school-record sixth game-winner this season, on an assist from Brandon Hawkins, ended a hard-fought battle between the two Boston rivals. 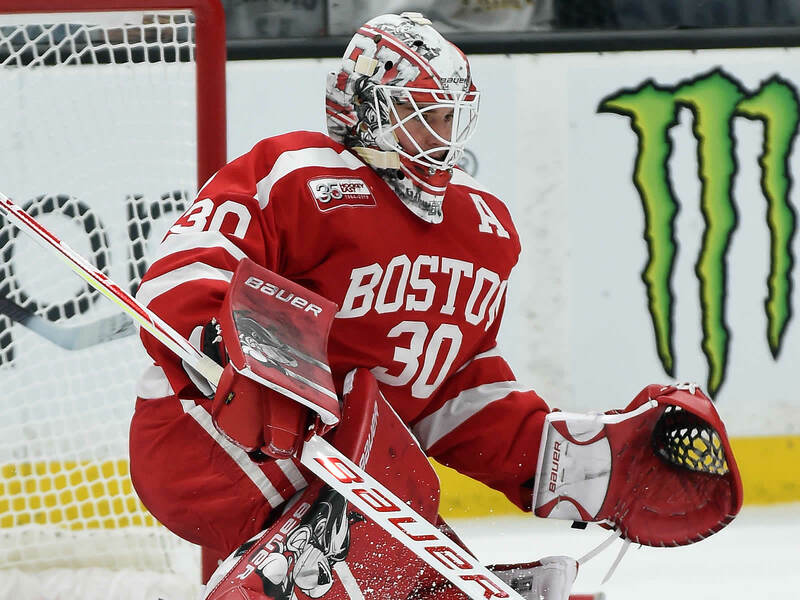 Terriers goaltender Jake Oettinger, last year's William J. Flynn tournament Most Valuable Player, made 42 saves, 34 after the first 20 minutes. 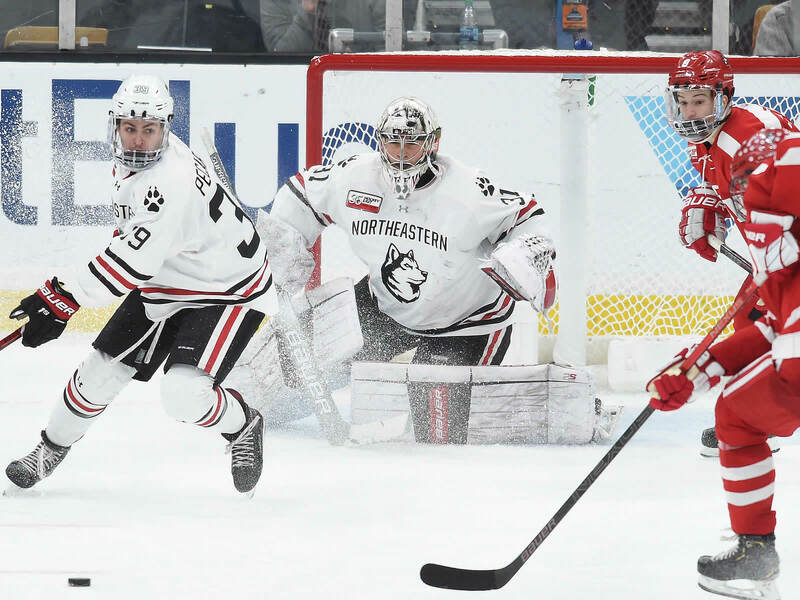 Northeastern's Cayden Primeau, the Hockey East first-team all-star goalie, stopped 29 as the Huskies (26-10-1) won their program record 26th game of the season, and their sixth in overtime. 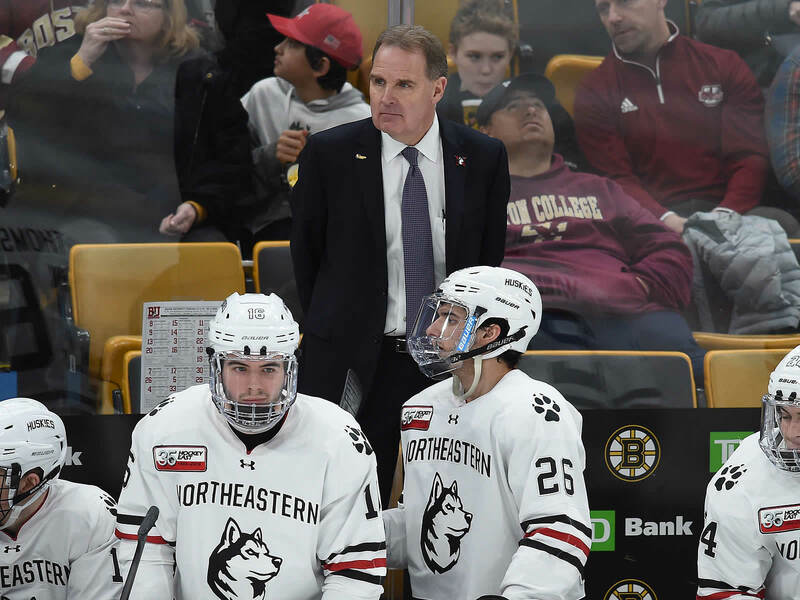 After a scoreless opening period with Boston University having a 12-8 edge in shots, Northeastern turned up the pressure in the second, out-shooting BU, 18-11. 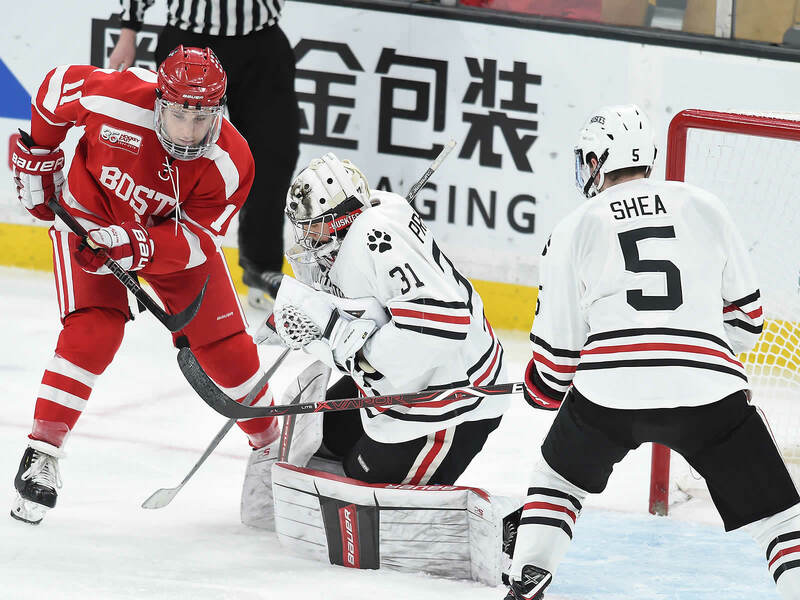 The Terriers first shot was the game's first goal on Ty Amonte's eight of the year on the power play at 7:39, finishing from the side of the slot on assists from David Farrance and Patrick Harper. 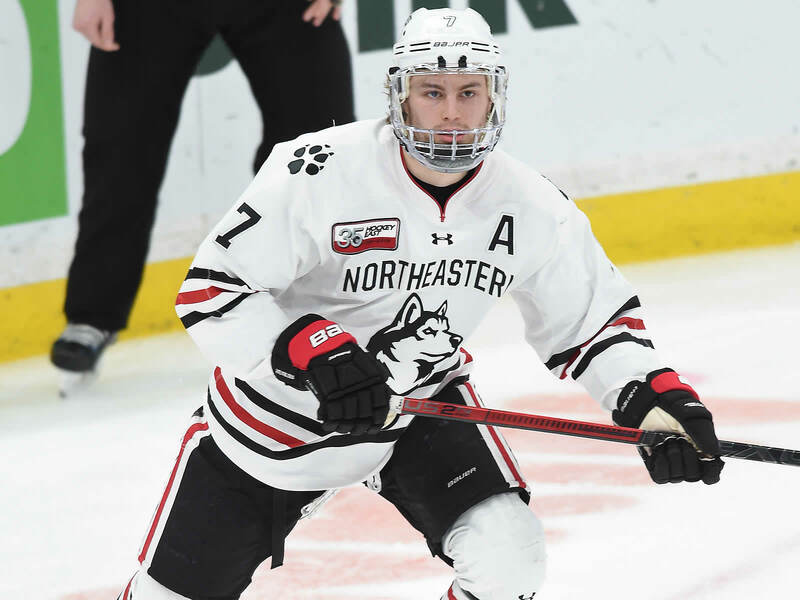 The Huskies tied it just 16 seconds into the third on Tyler Madden's 12th of the year. 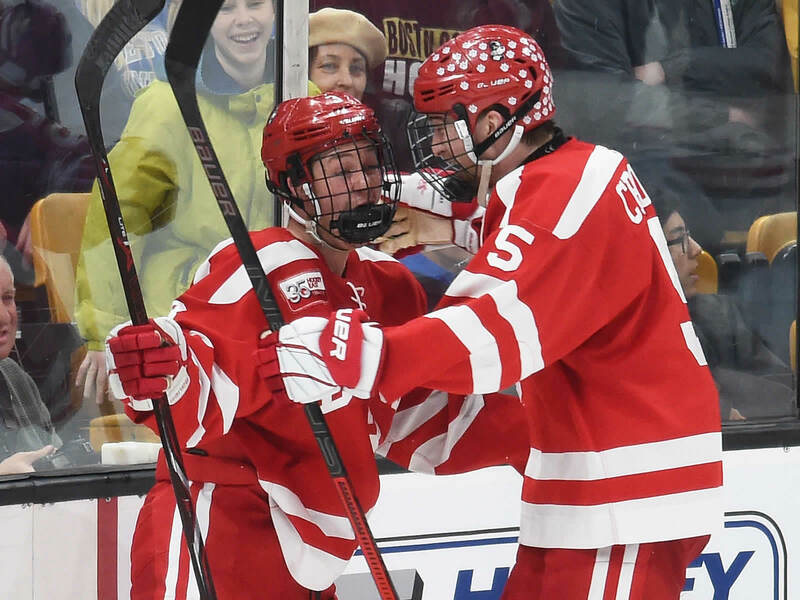 The freshman rapped home a feed from Matt Filipe with Jordan Harris also picking up an assist. 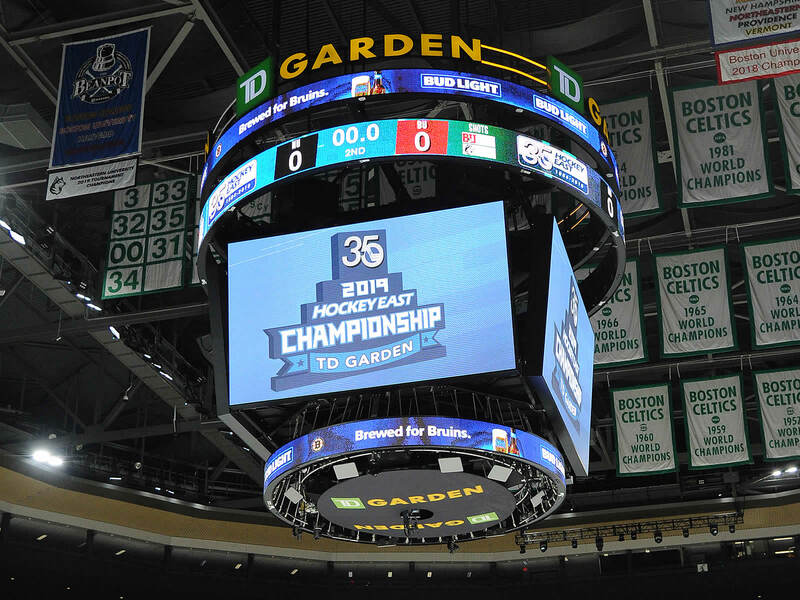 Northeastern out-shot 10-3 the Terriers in the third period. 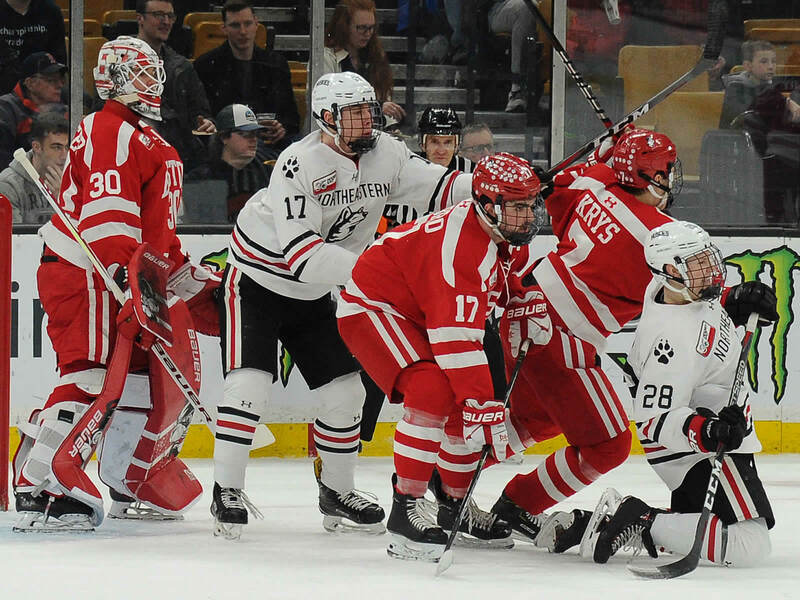 BU's defense led by Oettinger, would kill a late power play to force overtime. 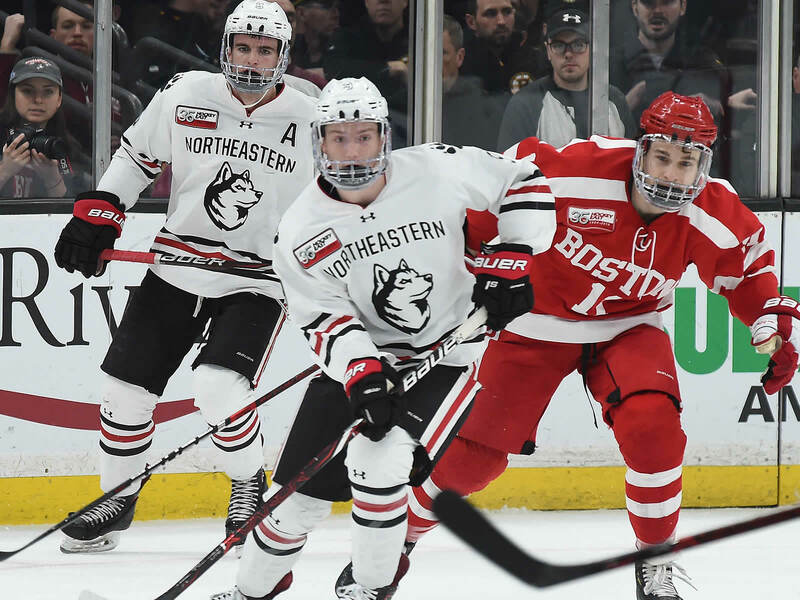 Just five penalties were whistled in the tightly played game with the Terriers going 1-for-2 with the extra skater while killing all three Huskies power plays. 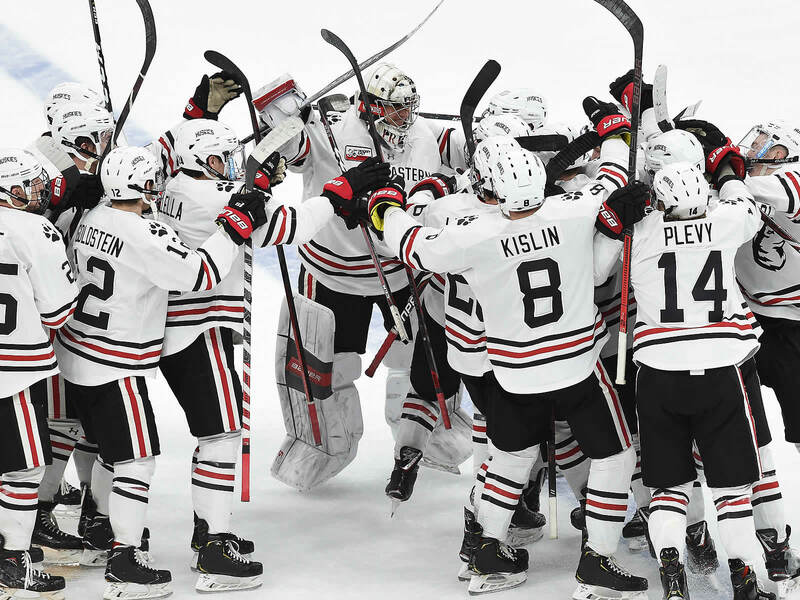 Northeastern has now won four straight and nine of its last 10. 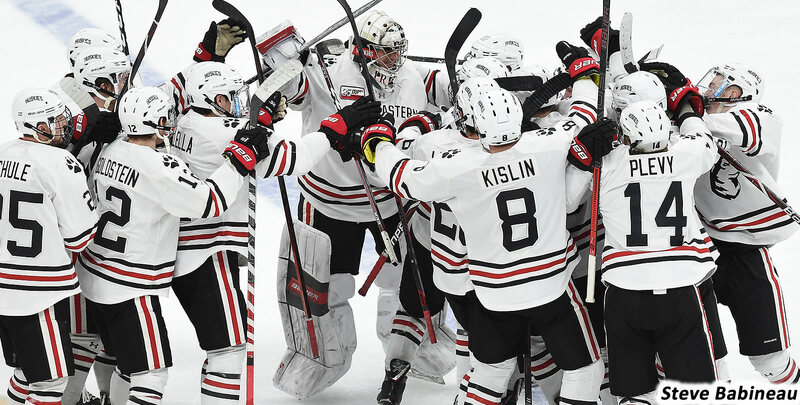 They had won another 2-1 overtime decision with BU in the Beanpot semis on TD Garden ice on February 4, 2019. 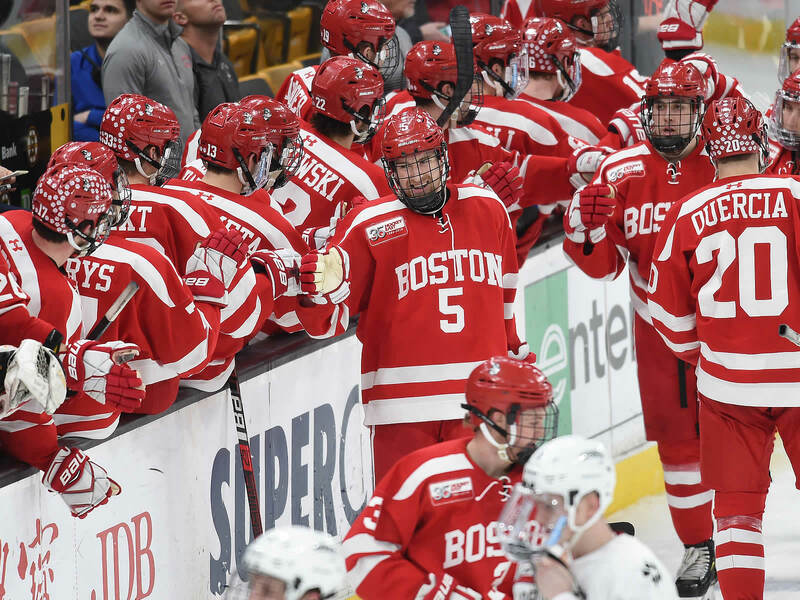 The defending Hockey East champion Terriers, in their conference-best 25th semifinal appearance, finish their season at 16-18-4.